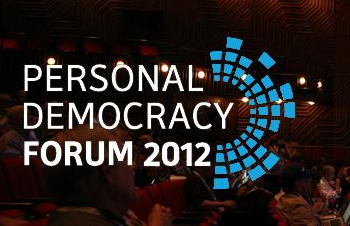 The Personal Democracy Forum is being held this week at New York University. NEW YORK — The famous Chinese artist and dissident Ai Weiwei once wrote in a blog, “To express yourself needs a reason, but expressing yourself is a reason.” In the highly censored world of Chinese media, this sums up the growing consensus within that country — and around the world — that the freedom of expression and dissent is important as an ends, and not just a means. I’m writing from the 2012 Personal Democracy Forum (PDF12), taking place this week at New York University, and where a group of presenters tackled the issue of Internet Freedom in China. With more than half of a billion people online, China’s Internet holds major promises and perils for Chinese citizens who hope to learn about the world — and help the world learn about them — using this medium. Jessica Beinecke. Photo by Anne Nelson. 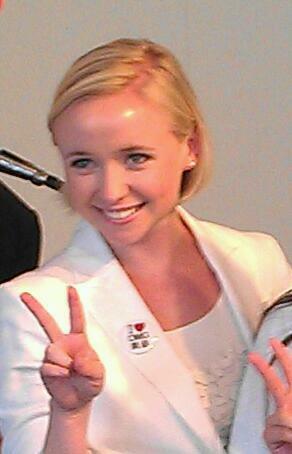 Jessica Beinecke is the host of Voice of America’s viral online video show “OMG! Meiyu,” in which she discusses American slang and pop culture directly with young Chinese viewers … in fluent Mandarin, of course. Presenting at PDF12, Beinecke emphasized how these short, two-minute videos can be a crucial tool for cross-cultural exchange. Thousands of Chinese youth subscribe to her Weibo account (the Chinese version of Twitter). She insists that these kids are participants — not followers — since they ask her questions about American sayings that she addresses in future web videos. In this light, Beinecke and VOA aren’t simply pushing out American culture (a traditional public diplomacy tactic), but actually responding to the curiosity of her trans-Pacific audience — even if that curiosity ends up with explanations of the phrases “Haters Gonna Hate” or “Badonkadonk” as one of our cultural exports. A cultural export that has failed to gain traction in China, even if it has emerged in other parts of the world, is political protest. In contrast to the Occupy Wall Street protests in the West or the Arab Spring movements occurring throughout the Middle East, overt expressions of collective dissent appear to be absent in China. Chinese artist Ai Weiwei’s ‘Sunflower Seeds.’ The piece comprises over 100 million porcelain sunflower seeds, each handcrafted. When he was imprisoned, many of his supporters used the image of sunflower seeds as a subtle sign of solidarity. Michael Anti, a veteran journalist and an associate fellow at the Asia Society, suggests that the Chinese government has effectively silenced dissent through a three-phased strategy: It blocks all important web 2.0 services behind the Great Firewall (YouTube, Facebook, Twitter and Wikipedia are all blocked), creates copycat versions of each of these sites that can be monitored by Chinese censors, and ensures that all servers are kept in China so that the data can be controlled. According to An Xiao Mina, a social media artist, in order to bypass censors, people protest by using subtle memes — visual or symbolic codes or language that censors find difficult to interpret. 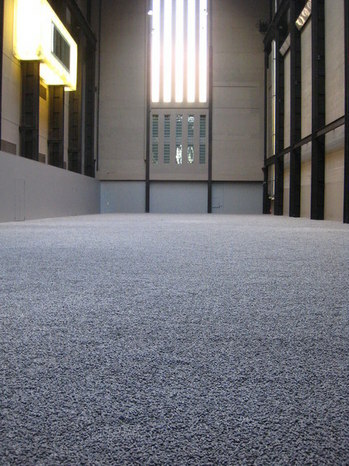 When the artist Ai Weiwei was imprisoned, many of his supporters used an image of sunflower seeds — a subject used in one of his popular modern art exhibitions — as a symbol of solidarity and dissent. An refers to a “law of meme-o-dynamics,” in which great censorship calls for more urgency for a meme language. But many in the United States are not interested in responding to China’s well-documented censorship activities with artistic or creative workarounds. As the New York Times reported earlier this week, American human rights organizations (including Movements.org, started by State Department digital media veteran Jared Cohen) are increasing their support for online activists living under authoritarian regimes. I spoke to David Keyes, the executive director of Advancing Human Rights and co-founder of CyberDissidents.org, who was featured in the Times article and who addressed the issue of Chinese censorship specifically. The problem of Internet freedom — or lack thereof — in China is a complex one that has challenging political, cultural, and diplomatic dimensions. The key theme of this year’s Personal Democracy Forum was “The Internet’s New Political Power.” However, it was clear from the speaking program that, at least in China, the political power of the Internet has not been unleashed … yet.